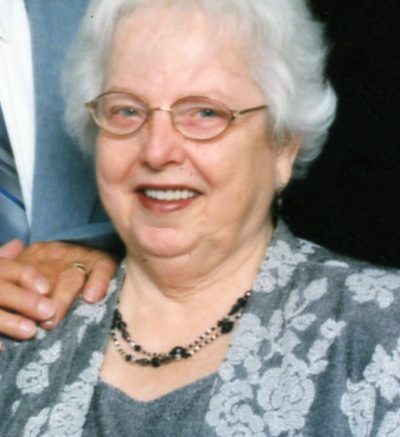 Jean C. Walters, age 78, of Huntingburg, passed away at 6:45 a.m., on Wednesday, September 12, 2018, at The Timbers of Jasper. She was born April 12, 1940, in Huntingburg, Indiana to Henry E. and Anita M. (McCormack) Kays; and married Marvin Louis Walters on June 14, 1998, in Huntingburg. Jean formerly worked as a furniture sprayer at Styline Corporation; was a member of the V.F.W. Post #2366 Women’s Auxiliary; and enjoyed playing cards, bingo and crocheting. She was preceded in death by her parents; one infant granddaughter; and one half-brother, Jerry Kays. She is survived by her husband, Marvin Louis Walters of Huntingburg; three children, James Martin Schwartz of Huntingburg, Debra Mae Crawford of Jasper, and William Anthony Schwartz of Huntingburg; one half-sister, Kattie Sears of Huntingburg; and four grandchildren, Billy Schwartz, Melissa Schwartz, Anita Jo Crawford Fischer, and Tammy Jean Yvonne Crawford Fischer. Funeral services for Jean Walters will be held at 2:00 p.m., E.S.T., on Friday, September 14, 2018, at the Nass & Son Funeral Home in Huntingburgwith burial to follow at Fairmount Cemetery in Huntingburg. Chaplin Mike Jones will officiate at the service. The V.F.W. Post #2366 Women’s Auxiliary will conduct a vigil service immediately prior to the start of the funeral. Be the first to comment on "Jean C. Walters"